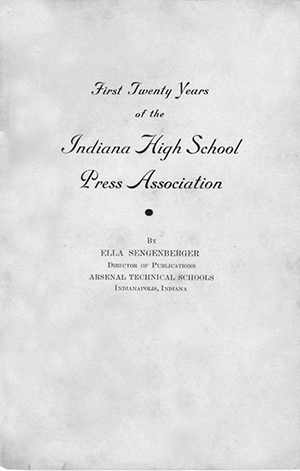 Ella Sengenberger, Arsenal Tech adviser and the first president of the IHSPA, wrote the first history of the organization. Titled “The First 20 Years,” Sengenberger documented early conventions including the new “Advisers Division” that formed in 1932. 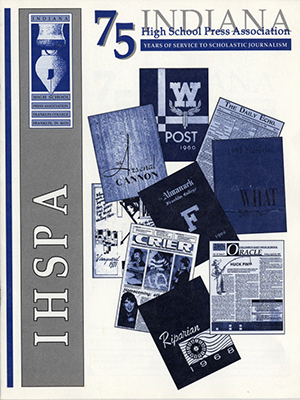 Up until that time, the IHSPA was comprised of a Student Division only. You can read this fascinating and highly detailed account of the first two decades of the organization at this link: First 25 Years. 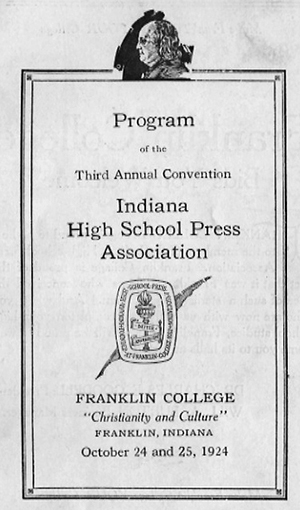 The 15th annual convention in 1936 was a three-day gathering of students, advisers and professional journalists at Franklin College. Workshop sessions were evenly divided between yearbook and newspaper. 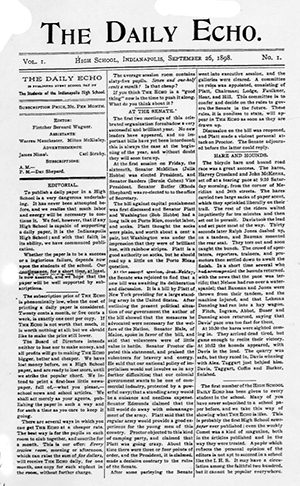 This convention even featured a writing contest. 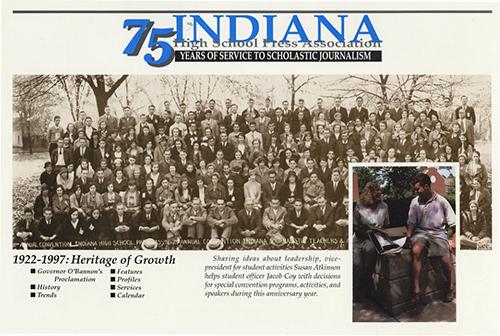 The convention concluded on Saturday, Oct. 24 with an address from Stephen C. Noland, editor of the Indianapolis News, who titled his remarks, “The Future of Journalism.” See the full program by clicking HERE or on the image below. 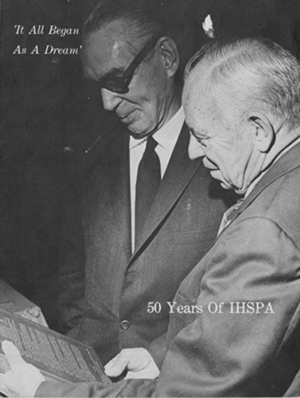 The new site features an archive that includes IHSPA history from the last 90 years. Anyone who has something that should be included in that collection is encouraged to send it. We would be happy to copy and return the materials. Here’s a look at what we’ve added to the history page so far.